Regardless of the size of your outdoor space, every new home owner wants their exterior to look just as good as their interior. 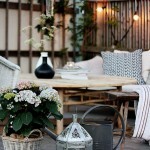 Decorating your garden and outdoor space with concrete or cement ornaments helps transform this space into an outdoor oasis. Using cement will make pieces heavy, but they’re also significantly more durable; lasting you season after season which makes them perfect for outdoor use. 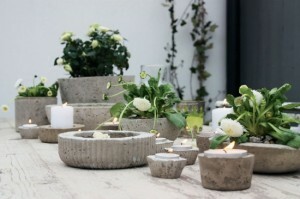 Creating beautiful garden sculptures at home can be done as easily as casting them in concrete. 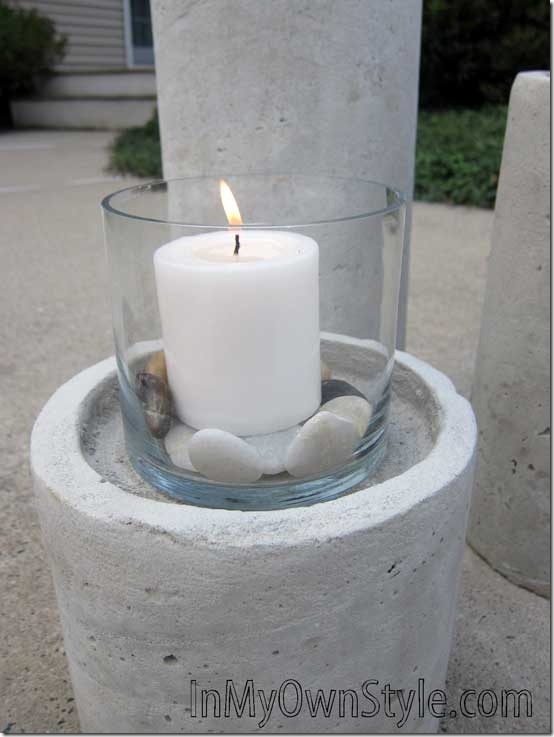 Concrete is simple to mix and use; the manufacturer’s directions are clear and easy to follow. Always be sure to wear protective gear when mixing your concrete and mix it in a well-ventilated area like the outdoors of your new home preferably. Almost anything can be used as a form; like a tub, a bucket, or even a cone. Just be sure you’re willing to sacrifice the form in the unmolding process. Making the mix a little soupier than normal helps give the final pieces an extra smooth finish. This ball is a perfect example. 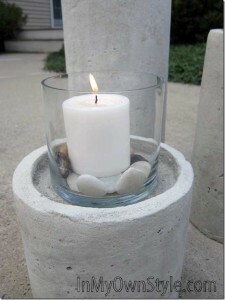 The form is a globe for a light fixture that you pour the concrete into. When it’s dry, carefully wrap it in heavy duty plastic. Then gently tap the globe with a hammer to break the glass. It will fall right into the plastic for easy cleanup. 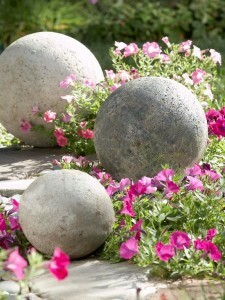 Scattered throughout your garden, these ornaments will help beautify the exterior of your new home. This pedestal was made by using a cardboard building form slightly wider than the glass vase used within. Spraying the inside of the tube with gloss paint makes it easier to remove when the concrete sets. Duct tape a foam plate to the bottom of the tube to avoid leakage of concrete. Once the concrete is added make an indent for the glass hurricane to fit in. Adding a beautiful touch both during the day or night in your new home,these garden ornaments make a great weekend project. 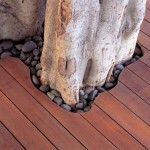 For more great DIY tips and ideas for your new home, be sure to visit the Mosaik Homes Facebook Page!